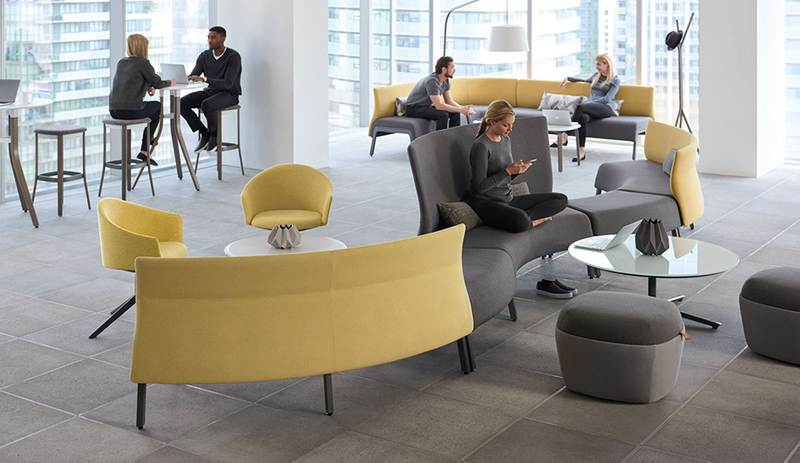 The Zones Modular Seating lounge collection was created for the flexible office. 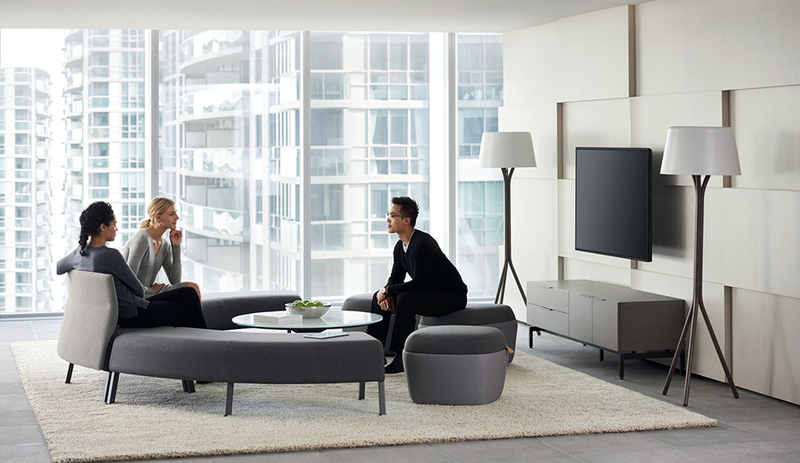 True to contemporary workplace trends – which call for environments built for both productivity and residential comfort – it creates a soft domestic mood with a rich and layered mix-and-match vocabulary. 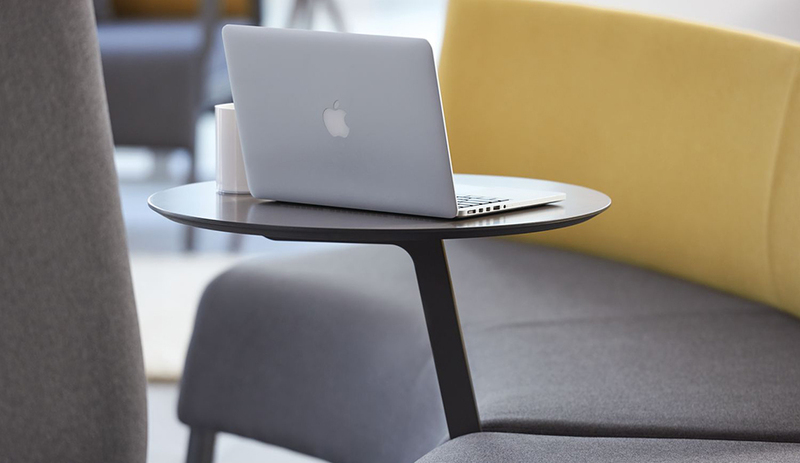 The collection includes fully upholstered straight or curved bench modules plus accessories. 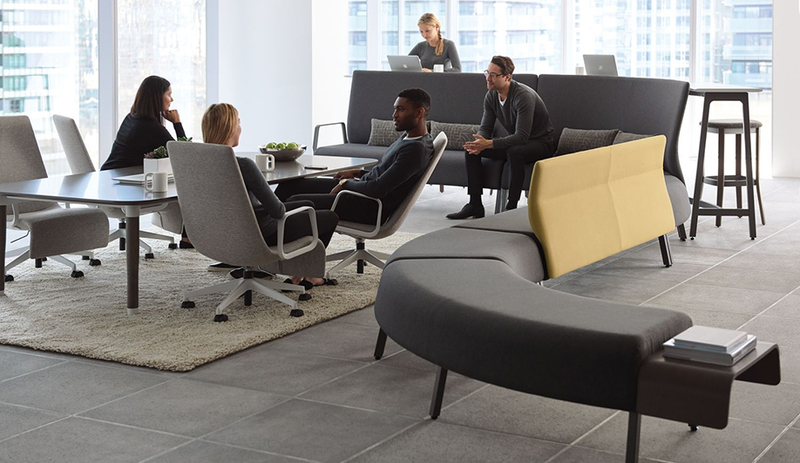 Modular Seating is designed to work with and complement other Zones products, thereby expanding the collection’s planning possibilities and applications in architectural spaces.